It's not often that RCA does something worth talking about these days, but the company has apparently been working on a product dubbed the Internet Music System (model number RCS13101E). 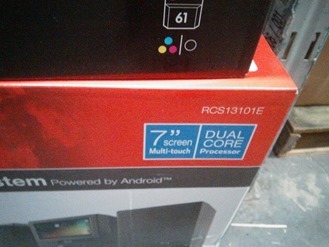 This device streams media to the included speakers, or to a TV over HDMI. That's cool, but the important thing is that it's powered by Android with Google apps included. 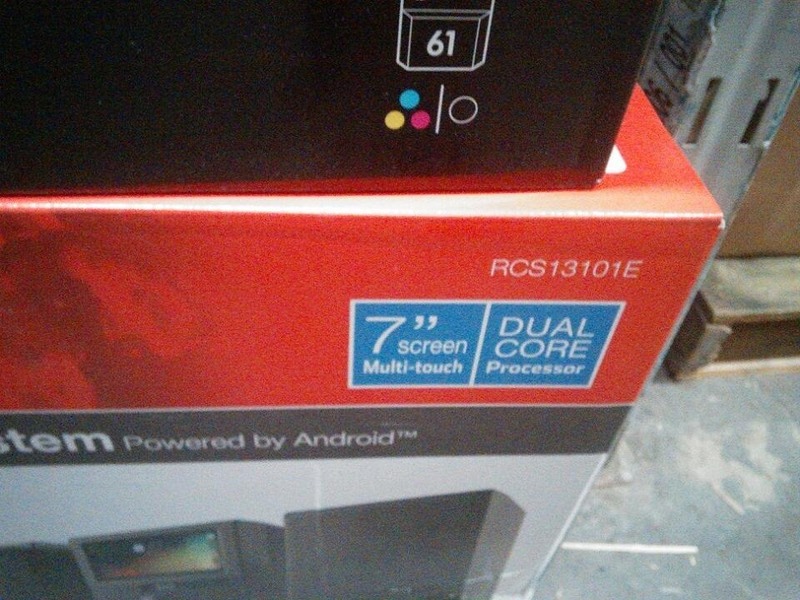 It has just started popping up in Walmart stockrooms, and will presumably be on sale soon. Yes, it's an unusual product to say the least. 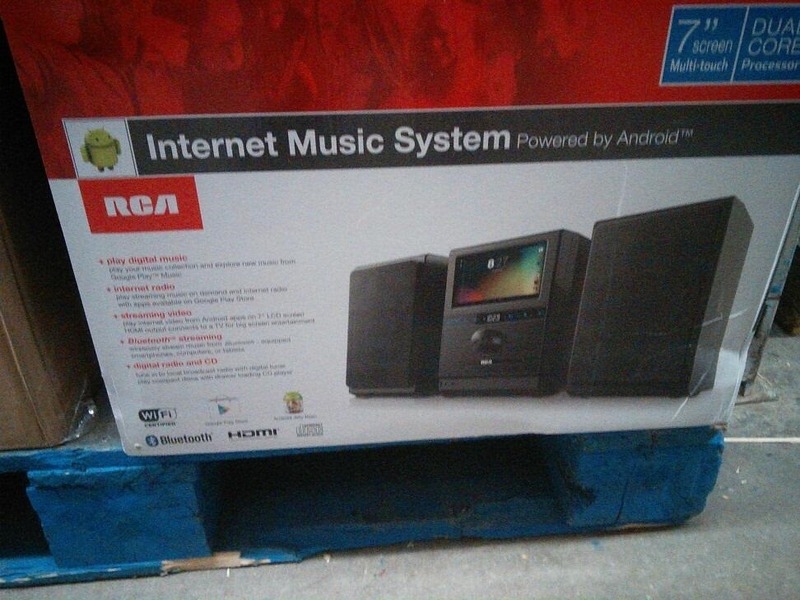 The "Internet Music System" is an odd name seeing as it promises to do plenty of other things. The device looks a bit like an old fashioned stereo, but the front houses a 7-inch multi-touch screen that's actually a removable tablet. The tablet is used to control the audio streaming to the speakers, or HD video to a TV via HDMI. The demo video above makes it look as though the tablet has to be docked to send video, which wouldn't really be surprising. The device comes with the full suite of Google Play Services, so you can get access all your Play Music and Videos, as well as other apps. Also, there's a CD player for some reason (this is RCA, after all). We don't really know much about the tablet component other than its size and that it has a dual-core processor with some version of Jelly Bean. Don't expect a Nexus 7 replacement, but this is at least interesting. When it goes on sale (and we get a price) it might be worth looking at more closely. Update: Our tipster says the price will be $178, but we don't have confirmation on that yet. That would be a potentially great price.